It is finally here. 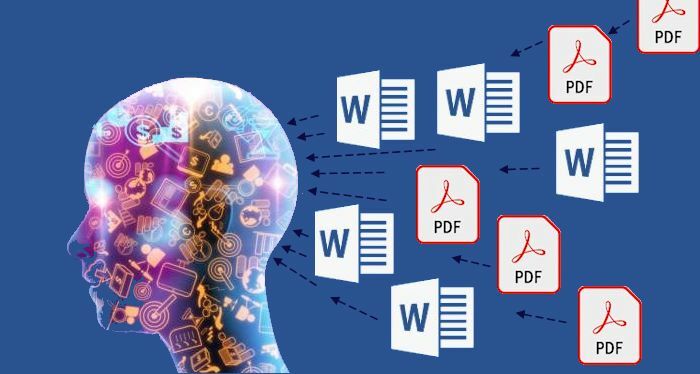 You can now convert your MS Word/PDF documents into Chatbots and Virtual Experts with exClone technology. No coding involved, no data sets to mingle with, no long training cycles, no experience in AI. This is the highest level of automation in the market today where all AI functions are tucked under the hood, invisible to a chatbot builder. As a result, the path between an expert and his/her virtual version involves no other process/developer in between. Siri, Cortana, Hey Google, or Alexa, lack any expertise they can chat about. If a question is asked with some complexity, they point you to search results. exClone’s process yields a virtual expert where questions are answered about the particular subject. Here is an example, Frank, who is a virtual expert on crystallography solutions using Phenix software system. Frank was built straight from MS Word documents in a single step process (we call it Instant Learning). The documents were written and curated by a real expert. In addition to learning from documents for deployment, exClone offers teaching virtual experts on-the-fly through conversations by designated teachers after deployment. This has a number of advantages one of which is the ability to update the system with new or modified knowledge anytime without the need for re-deployment. The most powerful feature of the exClone system is its ontological answering capability where words of the question and its answer don’t match, but the concepts they refer to do match. The proprietary machine learning algorithm (Instant Learning) is able to achieve an almost human level of understanding when answering questions. This means that the system can handle hundreds of various forms of a single question, which points to the same meaning, thus can bring the same relevant answer. This is the ultimate goal in making computers understand language and learn knowledge correctly. What does this Mean for Enterprises? Documents in the world of enterprise are the main asset to encapsulate and preserve organizational expertise. Being able to create virtual experts out of these documents easily, with no specialized effort, means that it is now scalable and inexpensive to launch enhancements to enterprise search, help desk, call center, and training systems. With virtual experts, the workers and customers of an enterprise can access critical information via conversational (messaging) type interface, rapidly, accurately, and efficiently. Such an efficiency directly improves bottom line. This entry was posted in Business, Technology by Riza Berkan. Bookmark the permalink.